God Kaffe - En grundbog for kaffeelskere. 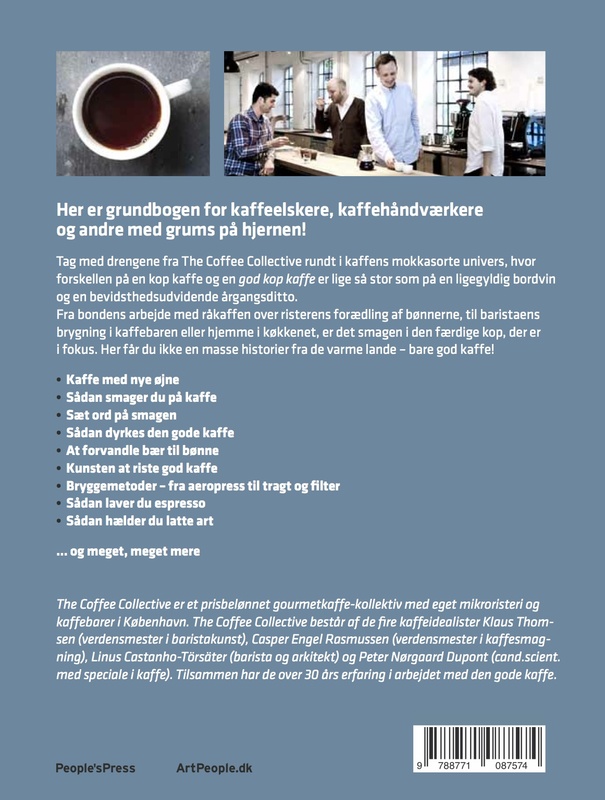 A 212 pages Danish book on quality coffee by The Coffee Collective. A few years ago at a dinner after a board meeting at the collective we were talking about where the average Danish consumer's knowledge of quality coffee were at. If we compared to wine we lacked behind. Most people know about grape varieties, which temperatures to store and serve at and had an idea about the difference in cheap and expensive wine. When it comes to coffee we're not there yet. So we thought about how to change this on a broader scale and came to the conclusion that a book might be the best idea. We looked at the book selection available in Danish and there really wasn't much. Either it's translated books with tons of romantic histories or else they were laden with recipes for biscotties and tiramisu that no-one cares to actually make. And none of them focused on what makes coffee taste great. So we decided then that we should write a book. We immediately approached one of our good friends and one of the most regular customers, Marie Holm, who is a food writer and book editor. We've know her since the very beginning of our company, when she did a fantastic article on us, that really boosted our confidence. She instantly jumped on the project and helped us shape our thoughts into a real project. Next thing was getting a publicist and it was important for us to have distribution all over Denmark. We don't want this book to only speak to our own customers in Copenhagen. The young and progressive book publisher People's Press didn't hesitate and said yes. And what surprised us most of all, they didn't have any demands. They trusted us 100% to write what we thought would be best. They even agreed that we would get to work with our dream team for making the book. Maria P is one of the best photographers we know, specializing in food. Together with graphic designer Ann-Britt Balle and the aforementioned Marie Holm, they have made a little unit called Pigerne på Fabrikken, who just so happens to reside above our new roastery on Godthåbsvej. (They were actually the ones who tipped us about the location). The trio have worked on some of the most successful cook books in Denmark in recent years, and for us it meant a great deal to have someone who knows us well and whom we trust to take on this project. For the past months we've been writing, rewriting, taking photographs, making illustrations and putting it all together. It's been amazing to see the effort and dedication the girls have put into it. We decided to keep it on the low until we were certain this book was actually going to be a reality. 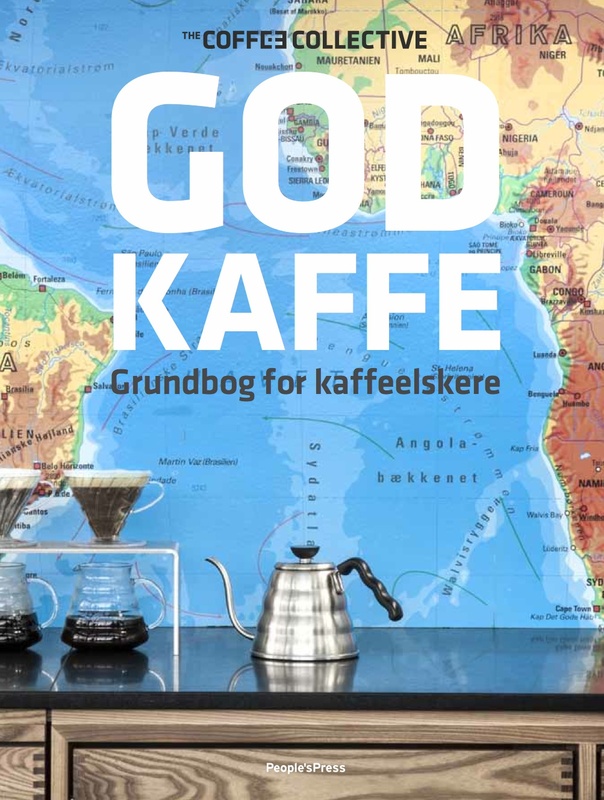 But now it's being printed right now and on October 25th you'll be able to buy it in bookshops across Denmark, in coffee shops and of course from us. We hope you like it and are thrilled to share it with you! Does the book release also in English? No, we decided to write this book in Danish, since that's the market were in, and since we felt that there was nothing good available in Danish, whereas there's more options in English.